If you want to make a gift that your friends and family will beg for every year thereafter, Christmas crack candy is the ticket. This super simple candy has addicting qualities that surpass the holiday season. 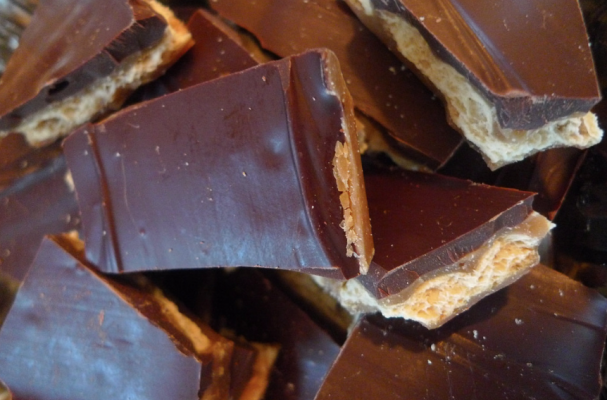 Saltine crackers are layered with buttery toffee and topped with semi-sweet chocolate. I like to decorate mine with festive sprinkles and chopped nuts but you add your favorite chocolate pairings. Place this candy in a beautiful tin with a bow and call it the perfect gift.